With the smartphone industry's shift towards lighter, thinner devices, it's no surprise to see some companies aiming to service consumers who prefer tougher, more rugged phones capable of withstanding a drop or two. Indeed, Land Rover -- perhaps best known for their mountain-climbing vehicles -- unveiled their 'Explore' smartphone earlier today. The Explore boasts IP68 dust and water resistance and a massive 4,000mAh battery. However, it's not the only bulky device set to hit the market soon. Construction company Caterpillar will be announcing their S61 smartphone at Mobile World Congress next week. Much like the Explore, the S61 seems to be targeted at those who prefer bulkier devices. It features a tough, grippy back panel and a much thicker design than what you'd see from most other smartphones on the market right now. 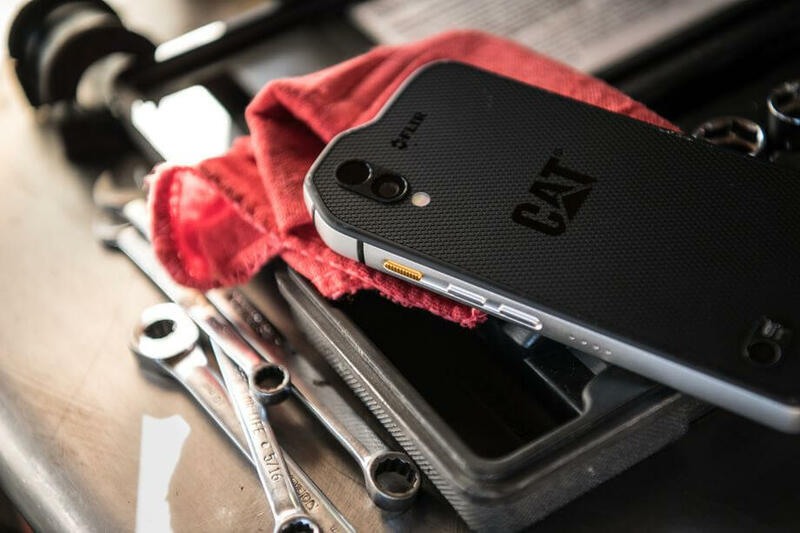 The S61 also houses an updated thermal camera compared to the one Caterpillar's previous S60 smartphone contained - a feature that appears to be geared more towards repairmen and women or other handy individuals rather than your average smartphone user. As far as specs go, the S61 houses a 5.2" 1080p display, the same IP68 dust and water resistance present in the Explore and a touchscreen that will function even if your fingertips are wet or clad in thick gloves. From a hardware perspective, the S61 will contain 64GB of storage, an older Snapdragon 630 mobile processor, a 4,500mAh battery, 4GB RAM capacity and a 4K, 16-megapixel camera. All things considered, the S61 sounds like a pretty decent smartphone for anyone, whether they happen to be an outdoorsy individual or not. However, there's a catch - the device's price tag will come in at a whopping $1,105 (€899), putting its cost well above that of many other high-end devices on the market. Still, if a tough, weather-resistant exterior and a thermal camera are enough to outweigh the S61's high cost, you'll be able to pick up one of Caterpillar's tough little smartphones sometime in Q2 2018.